New Lucasarts president Paul Meegan certainly isn't wasting any time. Barely two months into the job and we hear he's already swinging the axe and cancelling high profile sequels. If you were wondering why it was strange that Force Unleashed II creative director Haden Blackman would leave mid-project, this may explain things: according to sources at Lucasarts, Meegan has cancelled a third Force Unleashed game that was already in development, and members of Force Unleashed II's team (though we're not sure exactly how many) will be shown the door once that game ships. Another unnamed project, due to ship next year, has avoided the axe, but has been "put on hold" while developers have been told to "expect management and reporting changes". 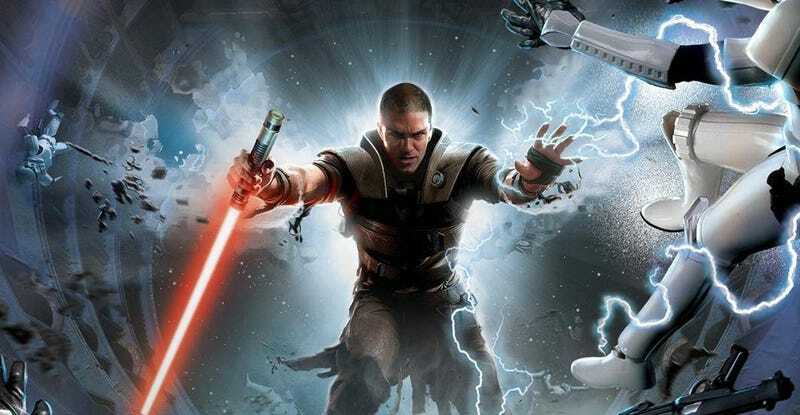 Those changes are down to the departure of Blackman, who as work was winding down on Force Unleashed II had been leading development on this secret project. These sources say "morale and productivity are at all-time lows" since Meegan took over, with most Lucasarts developers only finding out about Force Unleashed II's cancellation on the PSP by reading it on gaming news sites. So, yes, if this is all indeed correct, big changes are afoot at the house that Star Wars built. Lots of them bad news for the developers currently there, but looking at the big picture, the silver lining could be that such drastic shake-ups could be exactly what's needed at a publisher and developer that, courtesy of its licenses and history, should be doing a lot better both commercially and critically than it currently is. We've contacted Lucasarts for comment, and will update if we hear back.